Mike Martini was born in 1946 in Los Angeles, California. He was commissioned a 2d Lt through the Air Force ROTC program on June 22, 1970, and went on active duty beginning July 18, 1970. Lt Martini graduated from Undergraduate Navigator Training and was awarded his Navigator Wings at Mather AFB, California, in April 1971, and then completed Navigator Bombardier training and B-52 Stratofortress Combat Crew Training before serving with the 744th Bomb Squadron at Beale AFB, California, from April 1972 until he was forced to eject over North Vietnam and was taken as a Prisoner of War while on Temporary Duty to Southeast Asia on December 20, 1972. After spending 100 days in captivity, Lt Martini was released during Operation Homecoming on March 29, 1973. He was briefly hospitalized to recover from his injuries and then served as an Instructor Navigator with the 450th Flying Training Squadron of the 323rd Flying Training Wing at Mather AFB, California, from August 1973 to August 1976, followed by service as a Royal Air Force Exchange Officer where he served as an Instructor in the Flight Trials Training Section in the Royal Air Force College in Cranwell, England, from September 1976 to January 1980. Maj Martini's next assignment was as an Instructor Radar Navigator with the 644th Bomb Squadron of the 410th Bomb Wing at K.I. 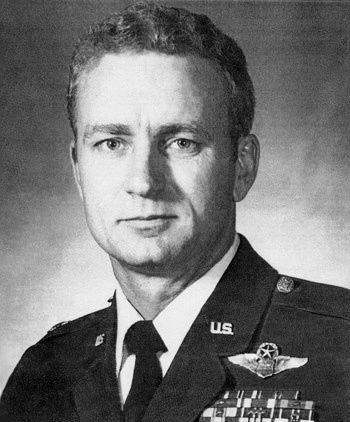 Sawyer AFB, Michigan, from January 1980 to September 1982, followed by service as a Systems Project Officer at Offutt AFB, Nebraska, from September 1982 until his retirement from the Air Force on October 1, 1993. First Lieutenant Michael R. Martini distinguished himself by heroism while participating in aerial flight as a B-52G Navigator near Hanoi, North Vietnam, on 20 December 1972. On that date, while engaged in one of the largest conventional bombing raids ever amassed in the recent history of aerial warfare, Lieutenant Martini was forced to bail out over hostile territory due to significant battle damage to his aircraft as the result of extremely heavy hostile fire. Lieutenant Martini and his crew were in quest of massed supplies, communications equipment, and transportation lines in order to eliminate the aggressor's capacity to initiate an offensive, and, despite receiving heavy battle damage and incurring grave personal danger, Lieutenant Martini and his crew were able to destroy the target before being forced to abandon their aircraft. 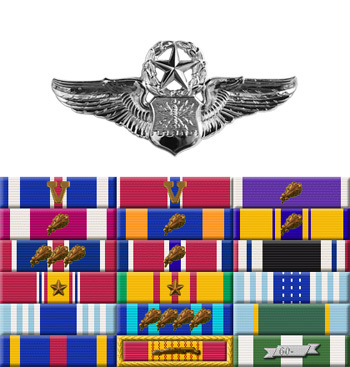 The outstanding heroism and selfless devotion to duty displayed by Lieutenant Martini reflect great credit upon himself and the United States Air Force.